In between the long distance weekends in France, it’s a semi-long distance event at Spa on Saturday (and part of Sunday), for the BTCS contenders. 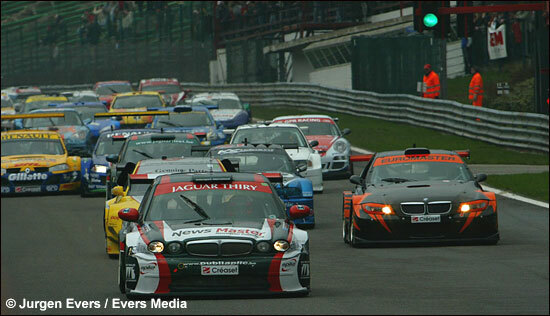 This weekend it’s the BTCS highlight of the year: the Spa 12 hours. After the disastrous weekend at Zolder two weeks ago, the BTCS gets a fair chance to prove its value with a race over 12 hours, finishing at two in the morning, on the most beautiful track in the world. The weather forecast seems to be to kind to BTCS, with 27° Celsius forecast, and the entry list simply looks fabulous. Except for the GLPK pair of Longin / Kumpen (“We are too busy with the C6.R although we would have liked to race at Spa”, says Bert Longin), and Vanina Ickx (why doesn’t she race the Audi Silhouette?) almost all the Belgian endurance heroes will be present. In GT, the biggest surprise is the GPR trio of Duez / Goossens / Van de Wauwer. 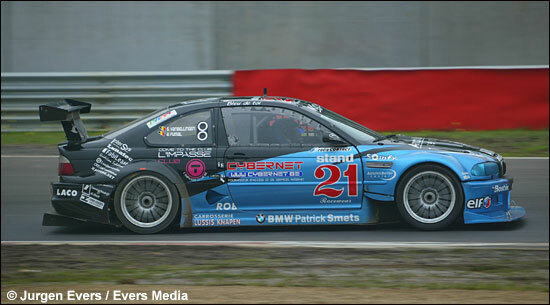 After the Marcos LM600 in Belcar, Busch Series and Grand Am in the States and a one-off in Dutch Stock-cars, the BTCS is the fifth series this year for Marc Goossens. Why isn’t he at Le Mans next week? Marc Duez and Marc Goossens will drive the #55 997 Supercup to the limit and will be a significant rival for the bunch of Silhouettes. 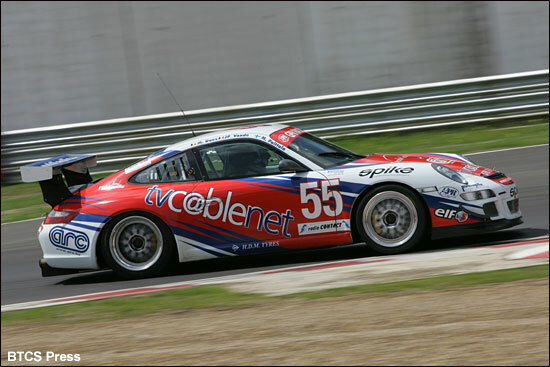 Still in GT, we find the usual teams such as BPO entering two 360s, CEO (Porsche 996 Supercup with Ruben Maes - below), GS-Motorsport (Porsche 996 Supercup)… NGT (Porsche 996 Supercup) and First Motorsport (Porsche 996 Supercup), switching from Belcar to BTCS for this race. Other silhouette teams go for a faster third driver, so we have van de Poele and Corthals for Jaguar, Mollekens and Radermecker for Renault, Palttala in the BMW E90 of Salus / Lupant, and Halliday, de Radigues and Vereydt for Peugeot. Brits? Yes there are a few. 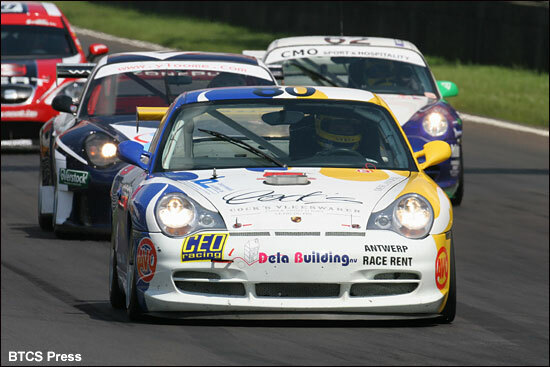 Chad Racing returns to BTCS with a Porsche 996 for Allen / James / Greensall / Hartshorne, EMD does it for the second time this year at Spa with the M3 GTR for Leventis / Hardman / Minshaw and Wright / Redhouse / Walker will race another M3.